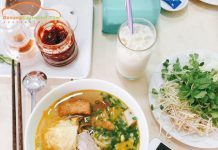 When referring to Da Nang city, people do not only remember the title “worth living city” with sea blue, white sand, yellow sun, delicious cuisines and friendly people but also by the most resorts. One of them is Intercontinental Da Nang. What’s the speciality of this resort? 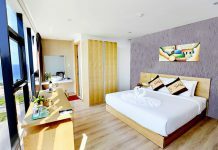 We are sure that after getting the information about Intercontinental Da Nang that we introduce, you will fall in love and dream of having a great vacation in this resort. Sea of Da Nang “with blue water as graphics”, so most hotels and resorts of the coastal city are located along the coast. But Intercontinental Da Nang is quite different. This is a resort located in a very special location. 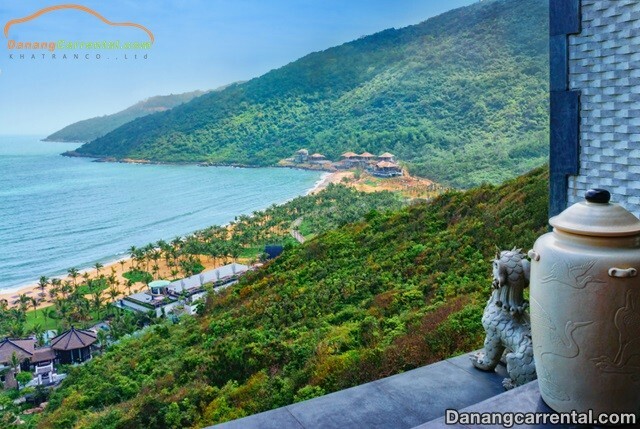 A glimpse of the huge forests of Son Tra peninsula is the only presence of a world class resort – Intercontinental DaNang 1,200,000 meters. 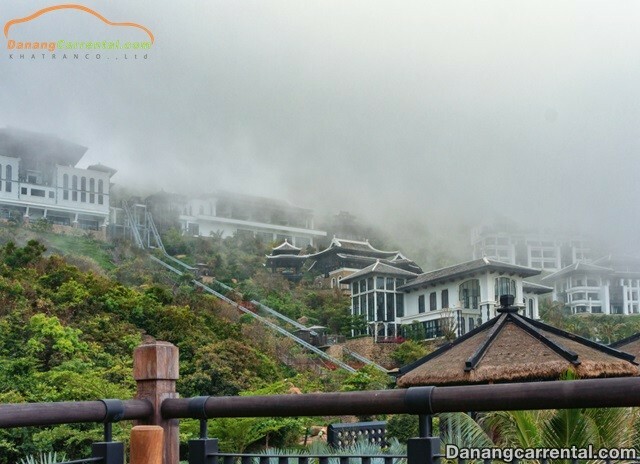 If you rent a car, your travelling time is only about 30 minutes, over the steep slopes with one side of the immense sea and one side of the green forest, you have reached one of the top resorts in Viet Nam and in the world. Because of its location in a completely separate location, Intercontinental Da Nang owns a very quiet space. When you come here you will find yourself in harmony with the nature such as grass, flowers, birds as well as clean and blue beach. The location of the resort has created a peaceful life, where everyone wants to come just to escape the world. Another special impression of the InterContinental Da Nang is its architecture. 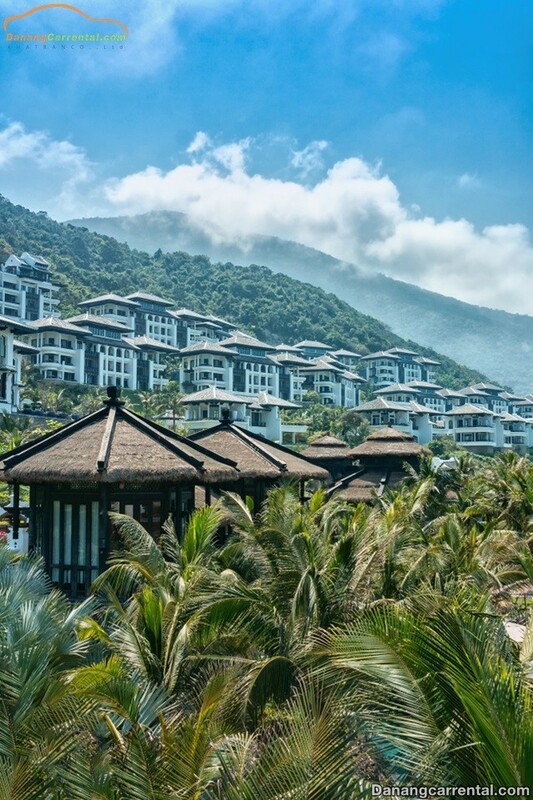 The architecture is so special that you only need to see a few images that you will immediately recognize it’s Intercontinental Resort Da Nang resort. Therefore, it would be a mistake to introduce the Intercontinental Da Nang without mentioning the architecture. The entire architecture was designed by world-renowned sorcerer Bill Bensley. Intercontinental Da Nang resort owns 2 main colors: black and white. Every detail in the resort is a clever combination between modern and ancient beauty. You will find somewhere in the resort is the image of Bat Trang pottery village, Hue imperial domes or lanterns which have characteristic of Hoi An ancient town. Combined with the traditional Vietnamese beauty is the luxury, modern and comfortable in use, interior decoration. InterContinental Da Nang resort is designed completely open to embrace the natural beauty of Son Tra peninsula and the worth living city of the country. Spreading across the mountains, there are four different floors from low to high of this resort: Sea, Sky, Earth and Heaven. Each floor is designed with separate functions and services. 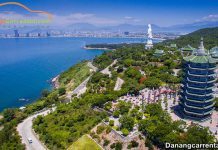 Coming to Intercontinental Da Nang resort, you will not only be overwhelmed by the splendor and magnificence of the buildings but also by the quality of services which are international class. You can move around the resort completely by buggy or you can choose cable car stairs in order to experience your fresh and fun feeling. Each room in the resort is designed with a personality of its own. It is a place with the sophisticated arrangement. Besides that, it is equipped with modern amenities to bring guests the great moment of relaxation. Villa located in the North Bay area of up to 500 meters with a view towards the sea to create a quiet resort area which is completely separated from the outside world. Villa with sea view and penthouse give you a great service experience. There is an infinity pool and club penthouse & villa. Class rooms: classic rooms & suites in Intercontinental Da Nang sun peninsula are designed with traditional Vietnamese architecture with a romantic view of the sea. Club Intercontinental rooms and suites own luxurious rooms, private beach areas and gourmet cuisine. The Citron restaurant on the Heaven floor serves breakfast and lunch. Diners will be impressed with the presence of five tables are arranged where the person sitting there feeling hovering in the air. Barefoot is located right on the romantic beach. LaMaison 18888 restaurant (3 Michelin stars) serves dinner. If you like watching films or taking part in fun activities, you will not be able to not go to the Long bar. There are two large cinemas, the equivalent of a small movie theater at CGV. It also has private karaoke rooms for families, couples or groups. Once you arrive at InterContinental Da Nang, you will find it like a paradise on earth. For a full holiday in the worth living city and do not miss the exciting experiences, you should rent a car with extremely low cost. Kha Tran professional car rental service always accompanies you on every street. 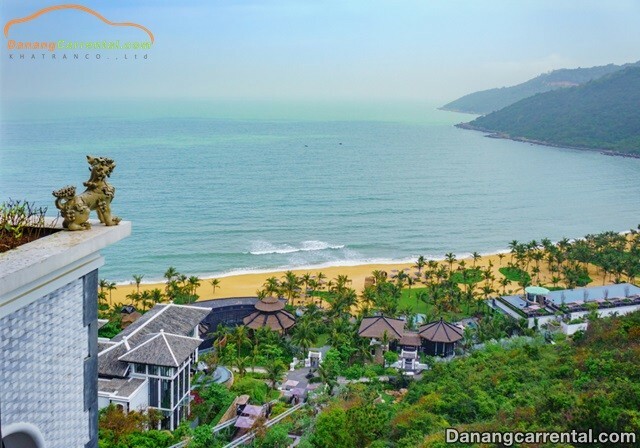 For more specific advice or rent cheap car to visit famous sites in Da Nang, do not forget to contact Kha Tran Car rental via hotline Ms Anna: (+84) 91 651 02 01 or Ms Katharine: (+84) 34 797 67 89.